Happy Sunday Everyone! Lately, it has been so difficult to find time to create just for fun but, I did have some time this weekend and I chose that time to play along with the Mojo Monday Sketch, one of my favorite challenges. 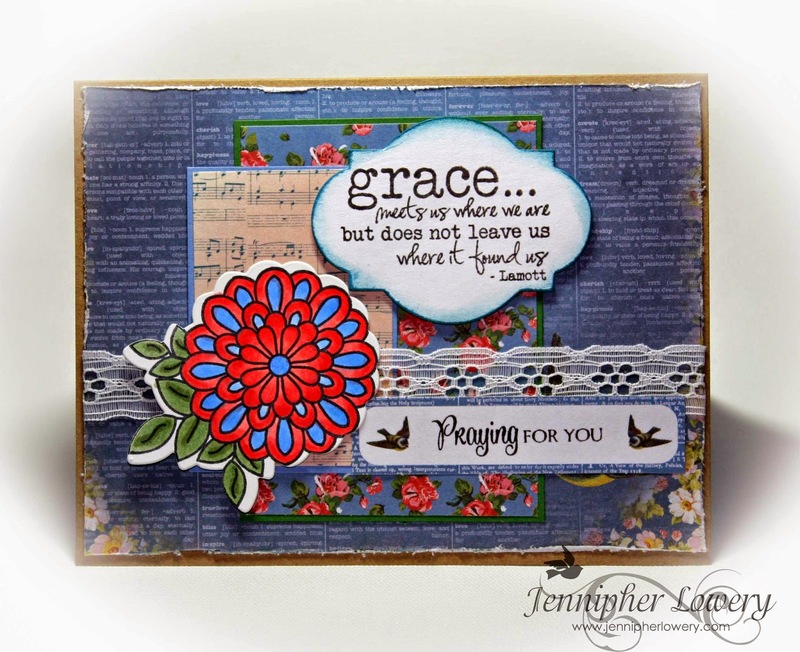 I've been adding quite a bit of Verve Stamps to my collection over the last few years as well as some of the coordinating dies and I love how versatile the stamps are and the fun you can have with mixing them together. I would also like to share this card with my friends at Word Art Wednesday. Awesome take on the sketch. Love the blue DP, the quote and sentiment are just lovely. The touch of the music notes and that colorful flower are the perfect touches. Hope your doing well, God bless you and hugs. It's so good to see you posting again, Jennipher! I missed you for those several months between posts. This is delightful. I love the text and the music in the background. Terrific lace and sentiments, too. 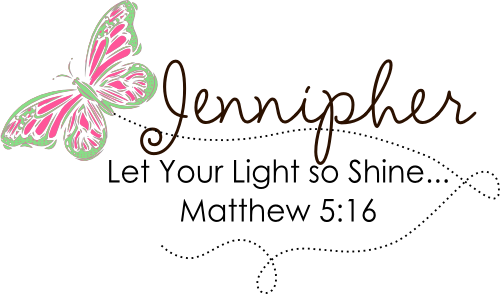 Thanks for stopping by my blog and for the loving encouragement. Hope all is well with you. Hugs. OH Jennipher, this is fabulous.. Wonderful job on this sketch..
What a wonderful creation. I love the DP's as well as the colors you used. So glad you joined us at last week's Challenge at Word Art Wednesday. Please join us again this week and inspire us and our followers with your creativity and earn the chance to win wonderful prizes. Leaving you with God's Word in Romans 15:13 which says, "May the God of hope fill you with all joy and peace in believing, so that by the power of the Holy Spirit you may abound in hope." Hugs and blessings!